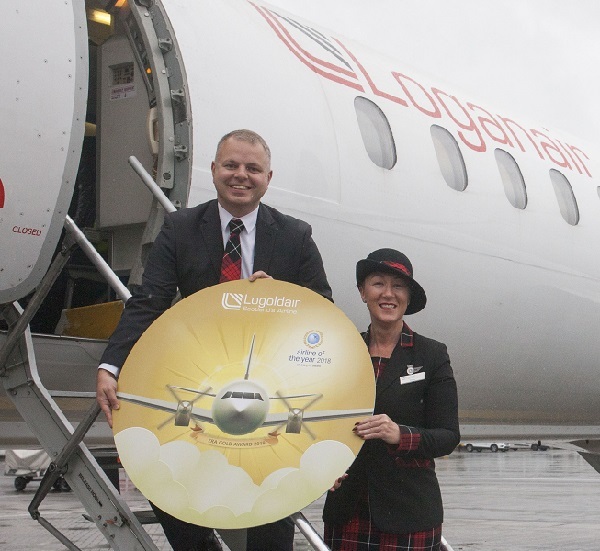 On the trophy front, Loganair was named Airline of the Year by the European Regional Airline Association, collecting the Gold Award at a ceremony in Edinburgh’s International Conference Centre on Wednesday. The Scottish carrier was honoured as an “exceptional regional airline which has rebuilt its commercial infrastructure after the end of its franchise” while implementing “a complete rebrand” undertaken by a “young and inspirational CEO”. Judges commended the airline for “handling with success of the instant competition from its previous franchise partner” across six crucial routes in the Scottish islands, communities it serves “in tough and challenging conditions”. The interline agreement will enable passengers from Scotland’s Highlands and Islands to travel via Glasgow and Edinburgh with their luggage on one ticket to Emirates’ network of 155 destinations in more than 80 countries. Loganair noted passengers also had the added advantages of being protected should their connecting flights be disrupted while also saving on an APD charge of £78.